Meditation is a positive force of nature. When meditating is part of a daily personal routine, there is an improvement in both attention and concentration. Feelings of stress can be reduced. Feelings of peace can be enhanced. Meditation will change your brain. Here’s the problem: it can be difficult to meditate, especially when you’re first getting started. Your mind wants to wander. You start thinking about the chores that need to be done. The great debate about what to make for dinner begins. Sometimes music can be helpful in meditation. The human body naturally responds to sounds and music in a positive way. You know how you feel after you’ve sang your favorite song on the radio and “nailed it”? Or how you sleep better when it is raining outside? Different types of music and sound create different biological responses. Classical music, as an example, can be an effective study aid. 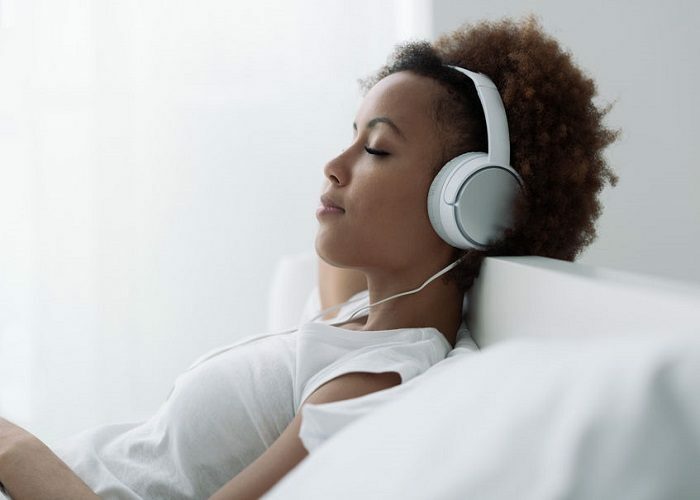 Playing white noise in a room can block out bothersome noises that distract you from achieving sleep. Brainwave entrainment works on this type of principle, but with a twist. Not only does it help the brain to focus, but it also creates a “tuning mechanism” for it. The brain adapts to the stimuli of the entrainment product to produce specific brainwaves. Which, in turn, makes it easier to meditate. There are many different brainwave entrainment programs out there right now. Some are fantastic. Others maybe not so much. Below you will find three good programs worth considering. Most brainwave entrainment programs are designed to provide one specific benefit. There is also something to be said about having a program which can provide your brain with a general benefit as well. That’s why the 3P DEAP technology that is in this program must be considered if you’re looking to improve your meditation time. 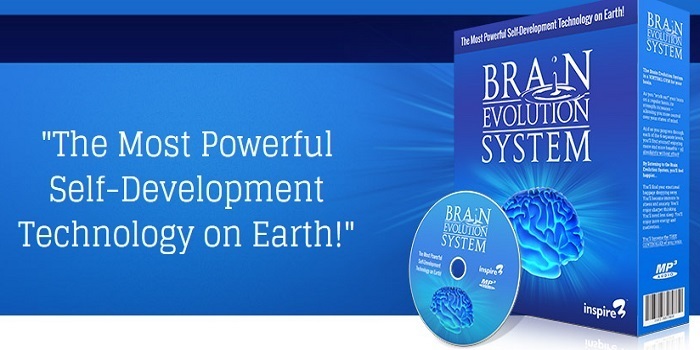 The Brain Evolution System combines three effective brainwave entrainment methods with this technology, allowing the brain to match the complexity of the program through the production of brainwaves. There are 6 different levels included with this program. I like the design of this program by Inspire3 because it allows the brain to build up an acceptance for meditation just like your muscles build up added stamina when you work out consistently. Initially, I must say that I found this program to be somewhat disappointing at first. The positive feelings that were generated by it were very temporary, especially in the first few days of using it. I could feel it working and it allowed me to focus on meditating, but once the audio track had completed, I felt “normal” once again. That made it tough in the first week to come back to this program. Don’t give up on it. Every day, the positive feelings extend themselves for a longer period. I found in Week 2 that I began looking forward to using this program instead of looking for an excuse to stop using it. There were greater reductions in stress. I felt like my time in meditation was improving, especially when it came to the racing thoughts that always like to start when I’d first sit down and begin to get comfortable. Inspire3 describes the Brain Evolution System as a “virtual gym for your brain” and I think it’s a very good description. Check it out for yourself. Click here and listen to a free demo. It is a multi-tier system of brainwave entrainment which allows each user to tailor the program to fit their personal needs. The first tier is for primary meditation, which helps to establish meditation within a personal routine. Then there is a secondary level to the first primary meditation tier. Primary Meditation is divided into 3 Tiers of Progressive Stimulation, empowering you to benefit from the latest research in neuroscience showing that the human nervous system responds best to dynamic and highly variable levels of stimulation. The result: increased mental, emotional, and spiritual coherence and well-being. The third tier is called “Releasing Tracks”. Some users may be sensitive to the primary meditation tracks, which would make for a disruptive meditation experience. The releasing tracks are a milder form of environmental establishment for the brain. It allows for a better focus, much like listening to classical music does for studying, so the process of meditation can be followed. When you can listen to the Releasing Tracks without discomfort for an hour, then you’re ready to go back to the primary meditation tiers. PMP 3.0 includes epsilon, gamma, and hyper-gamma brainwave entrainment tracks that allow you to focus on a specific outcome. Epsilon brainwaves are very low frequency, allowing the brain to focus on integration and wholeness. Gamma and hyper-gamma brainwaves allow for an exploration of higher awareness. If you find yourself struggling with stress or trying to handle a frustrating problem, give yourself a push with this option. It may help you to get into a problem-solving state of mind instead of being in a state of emotional reaction. To learn more about Profound Meditation Program 3.0, click here. One of the problems with many brainwave entrainment programs is the issue of repetition. Because many programs involve one track or tier of tracks only, the lack of variety makes the product less useful over time. Your brain grows bored with the product. It’s like being hungry, opening the refrigerator, and finding only leftovers available to eat that you’ve already had for lunch. You could eat the same thing again, but it wouldn’t be as satisfying as having something new. Zen12 provides that “something new” very effectively. The variety of sessions that are available within this program keep your attention extremely well. I also like the fact that each session can last for just 12 minutes. Let’s face it: the demands of our day don’t always allow us to have up to 1 hour of free time to meditate. That’s why you should focus on this program when your time is limited. Each level in the Zen12 program offers 4 different tiers, which Inspire3 refers to as “flavors,” so you can choose the right audio track for your current mood. The Relaxation tier offers background music like you’d hear at your local coffee shop or spa. There’s a Nature Sounds tier, which offers running water and countryside sounds. The White Noise tier is helpful because it blocks out background distractions. Your meditation space might not be quiet, but if you put on a set of stereo headphones and run this “flavor,” it will give you the quiet that you need. Then there is the unique Guided Meditation tier. It is a brief guided meditation that takes you into a meditative state when your brain doesn’t feel like cooperating for some reason. If you want to learn more about Zen12 and listen to a free brainwave audio, then click here. Why Choose These 3 Brainwave Entrainment Programs? These 3 programs focus on meditation and that’s important here. The scientific benefits of meditation have been thoroughly studied and found to be helpful for everyone. If you meditate regularly, you receive a brain-health benefit that can have cumulative effects. What I like about these 3 programs is that the focus is on achieving those natural benefits through meditation instead of focusing on a short-term goal. That’s not to say that having a positive feeling after using a brainwave entrainment product is unimportant. In my experience, establishing a habit of meditation is either gained or lost because of the emotional response that occurs after an attempt is made. If you can’t achieve a good singular focus, like paying attention to your breathing, and your mind feels like it is scattered, then you feel like you’ve failed. Who wants to repeat an action if you know it will make you feel unhappy or frustrated? That’s why the creation of positive feelings with meditation is so important. These programs can help you with that. And that makes you want to get back into meditation as soon as possible. Which Brainwave Entrainment Program Can Help Your Meditation Time? Each program listed here has the potential to be helpful. If you’re just starting out on your journey to embrace meditation, then I would recommend trying the Brain Evolution System. It should help you to establish a foundation for meditation so it could become a habit. BrainEv is one of the true originals, and uses a variety of techniques to encourage entrainment. It's a well-established favourite that takes 30 minutes a day, and the entire course lasts six months. If you're looking for a deep system that helps you to enjoy swift gains and a deeper sense of self, alongside all the benefits of meditation, then go with BrainEv. 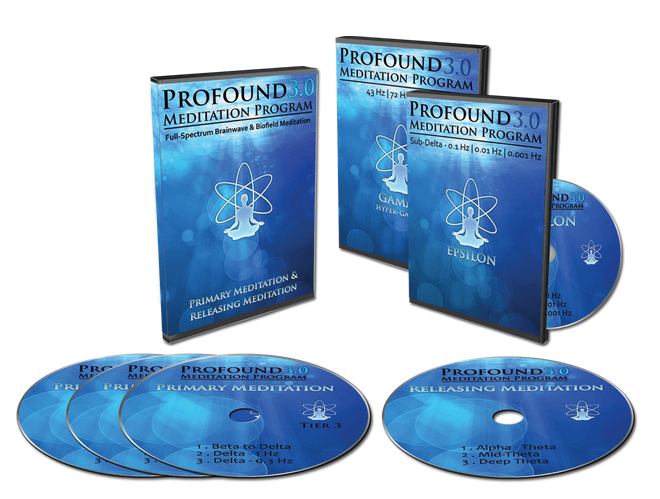 I would describe Profound Meditation Program 3.0 as a brainwave entrainment program for those who want to get more out of their current meditation time. I like that it is flexible enough to help virtually everyone in some way, whether they’re just getting started with meditation or have been practicing it for 10+ years. 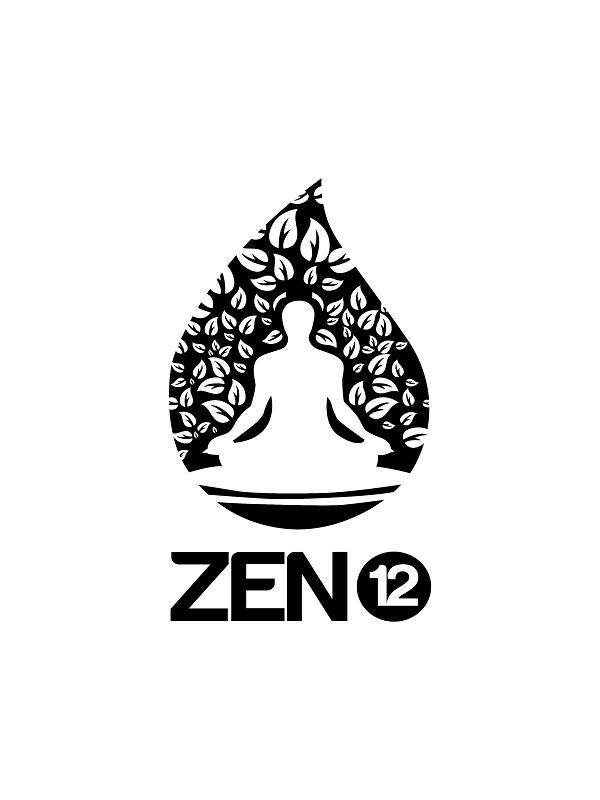 For those who are trying to adapt their time in meditation to a life filled with responsibilities, then I’d recommend Zen12. Because this program is shorter, it becomes a lot easier to fit into a busy schedule.